The Jeep Compass has received a complete redesign for the 2017 model year! It’s all-new, and it has a lot of exciting features to offer buyers looking for a small, off-road-ready SUV. Read on to see what the new Jeep Compass has to offer! What’s different about the 2017 all-new Jeep Compass? Everything is different for the 2017 all-new Jeep Compass. Despite sharing a name with its predecessor, the all-new Compass received a complete remodel and is hardly recognizable. It doesn’t just look different though. The all-new Compass features new powertrain options, an improved range of features, new trim levels, and new styling that makes it look more similar to the desirable Grand Cherokee. The all-new Compass features the coveted 2.4-liter Tigershark engine complete with MultiAir 2, an electrohydraulic, fully variable valve-actuation system. This pleasant engine loads the Compass with 180 horsepower and 175 pound-feet of torque, delivered to the front or all four wheels. If you opt for a front-wheel drive model, you can opt for an Aisin six-speed automatic or a six-speed manual transmission. If you prefer four-wheel drive (ideal for off-road travels that the Jeep brand is known for), you can select that same six-speed manual or the class-exclusive nine-speed automatic transmission. In addition to these powertrain changes, you can pick from four trim levels: Sport, Latitude, Limited, and Trailhawk. So, what’s new about the all-new 2017 Jeep Compass? Everything, from power to capability to styling. What technology features might I find within the all-new 2017 Jeep Compass? The all-new 2017 Jeep Compass has two pieces of technology that really stand out. First, the new Compass features the largest full-color LED instrument cluster of any vehicle in the segment. The second technology feature is the incredible Uconnect infotainment system. Some models feature the smaller 5.0-inch touchscreen Uconnect system that features crisp graphics, fast start up times, enhanced processing power, and a variety of touch gestures, including pinching, tapping, and swiping. Upgrading to one of the other three Uconnect systems (7.0, 8.4, or 8.4NAV) will provide the user with even more features, including Apple CarPlay and Android Auto smartphone integration compatibility. Apple CarPlay allows you to access your iPhone’s favorite apps, including Phone, Messages, Maps, and more. Android Auto lets Android users access Google Maps navigation and Google Play Music, as well as respond to texts and phone calls. The Uconnect system also features Uconnect Access, Traffic and Guardian Connected Service, SiriusXM satellite radio, and Travel Link. Can I customize my new 2017 Jeep Compass? Absolutely! Just like the Jeep brand is known for, there’s an extensive selection of aftermarket Mopar parts for the new Compass-over 90 accessories and parts! Many parts and accessories are available right now and include items like rock rails, a bright pedal kit that finishes the pedals in stainless steel, a molded cargo tray, door sill guards, a cargo tote, a rooftop cargo basket, and gorgeous black graphics. The all-new Jeep Compass features many unique traits that make it stand out in its busy and competitive class. If the Compass sounds like the perfect vehicle for you, we’d love to help you find the right one for you today-don’t hesitate to reach out! We can’t wait to show you our extensive inventory of the all-new Jeep Compass! 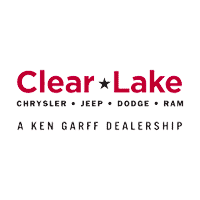 Clear Lake Chrysler Dodge Jeep Ram	29.5833535, -95.1792427.